Welcome to episode 17 of Superman in the Bronze Age. 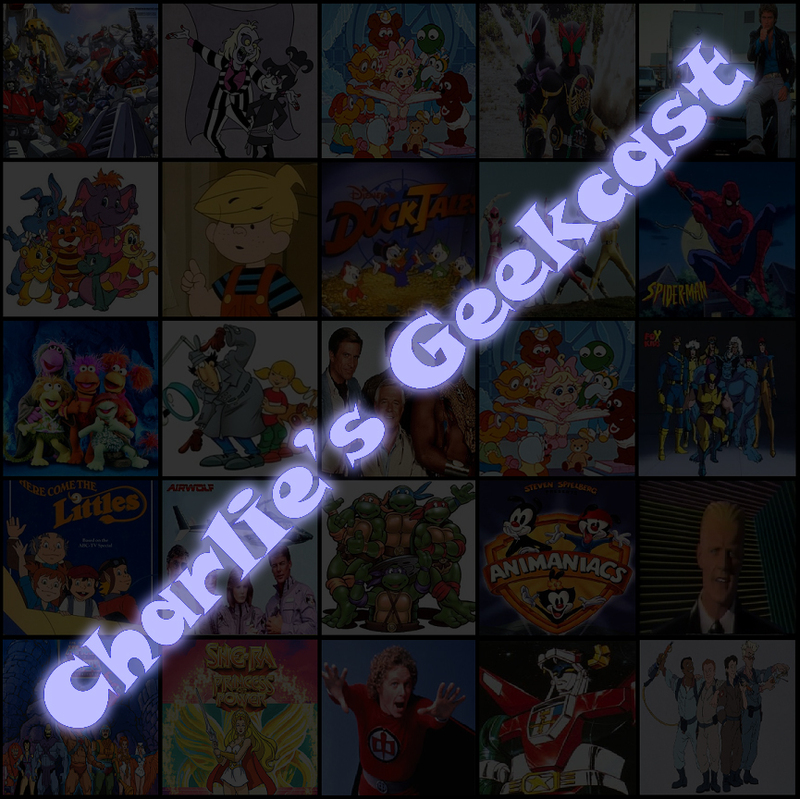 In this week’s episode, we learn whether or not there must be a Superman, Clark gets some time to shine, Superman can’t save an astronaut and the mystery of Super-X! Plus, listener feedback and we see what else DC was selling this month. All in less that 1 hour. Woot! Also, I’d like to apologize for the quality of the episode. I was not recording in the best of conditions. Next week, February 1972: World’s Finest #209, Superman #248 and Action Comics #409. Welcome to episode 16 of Superman in the Bronze Age. In this week’s episode, Superman saves Metropolis (again! ), helps Doctor Fate save Earth-2, defends his Fortress and causes indigestion. Eww! 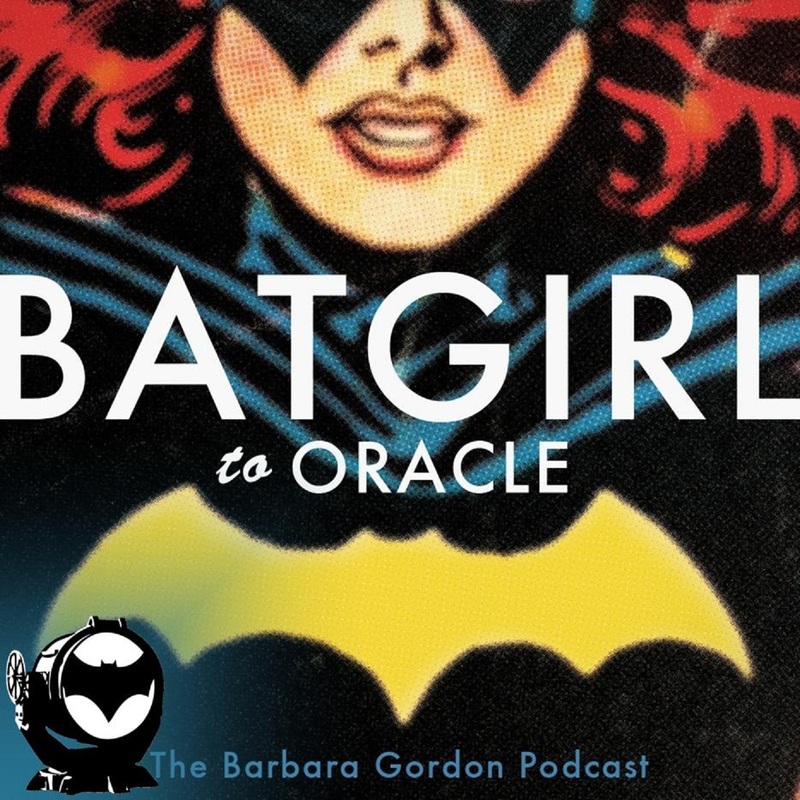 Plus, emails, comments and a look at the other DC books published this month. 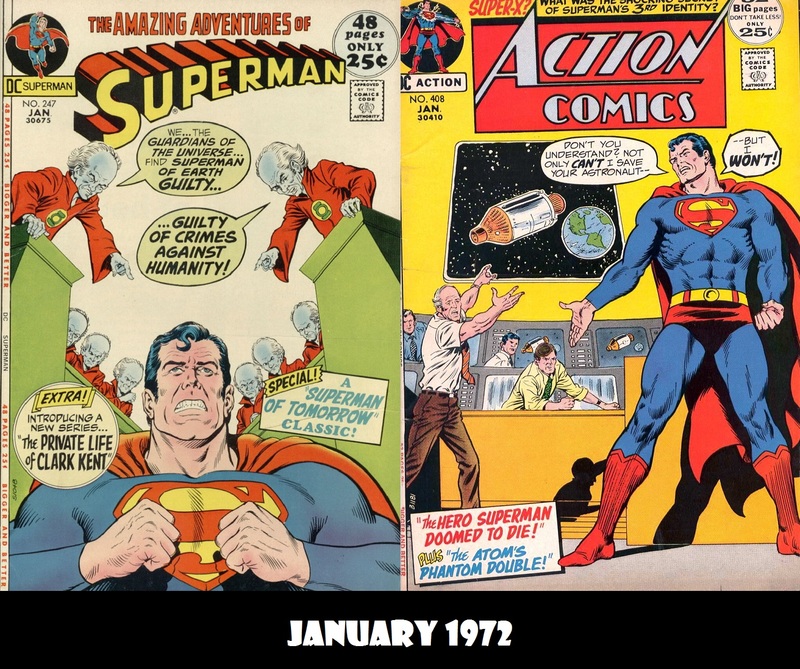 Next week, January 1972: Superman #247 and Action Comics #408. 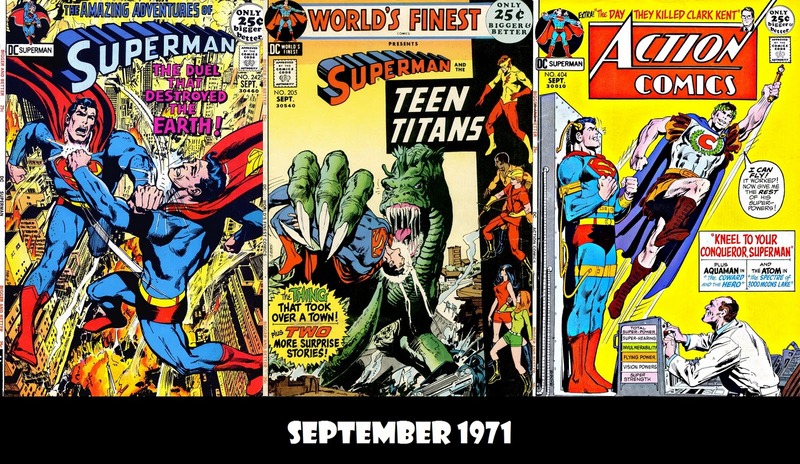 Welcome to episode 15 of Superman in the Bronze Age. This time out, Superman has blackouts, and electrical ghost haunts Metropolis and Superman looses his head. Also we get emails, comments and we see what other books were on sale this month. Also, beginning this episode, my wife Angie joins the team by providing the end tag. 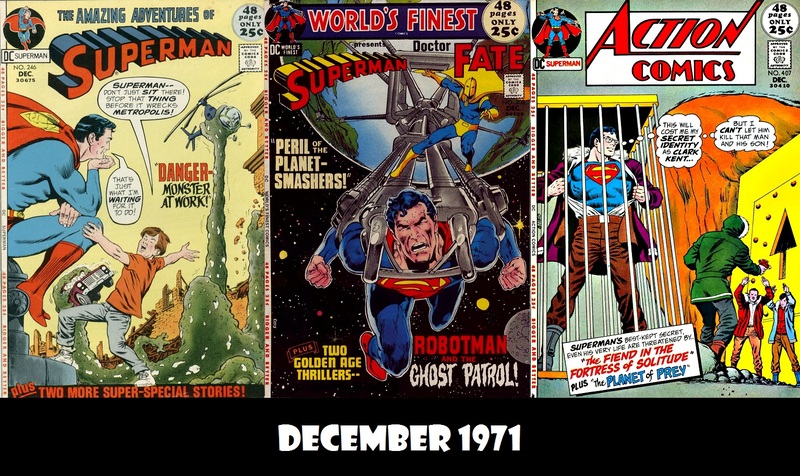 Next week, December 1971: Superman #246, World’s Finest #208 and Action Comics #407. Welcome to episode 14. This time out, I’m joined by Michael Bradley from The Thrilling Adventures of Superman podcast. Together, we see Superman kill a woman, Krypton’s first flight, Superman killing the President of the United States, and how much trouble one little boy can cause for the Man of Steel. Plus, a few tangents and we see what else is happening in the DCU this month. 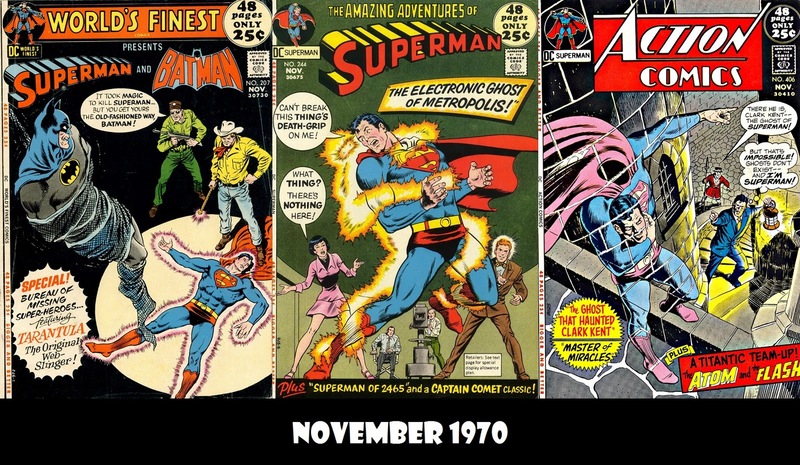 Next week, November 1971: World’s Finest #207, Superman #244 and Action Comics #405. Welcome to episode 13 of Superman in the Bronze Age. In this episode, Superman vs Sand-Superman, the Teen Titans don’t really team up with Superman and we learn that greed makes you stupid. Plus an email, a comment, a big thank you and we see what else is happening in the DCU this month. 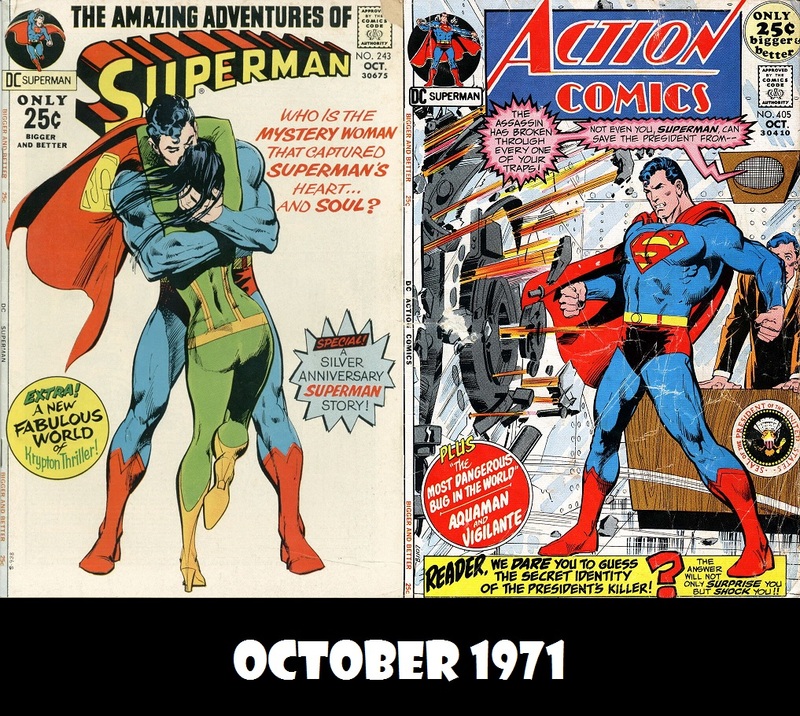 Next week, October 1971: Superman #243 and Action Comics #404. Plus, a special guest co-host!